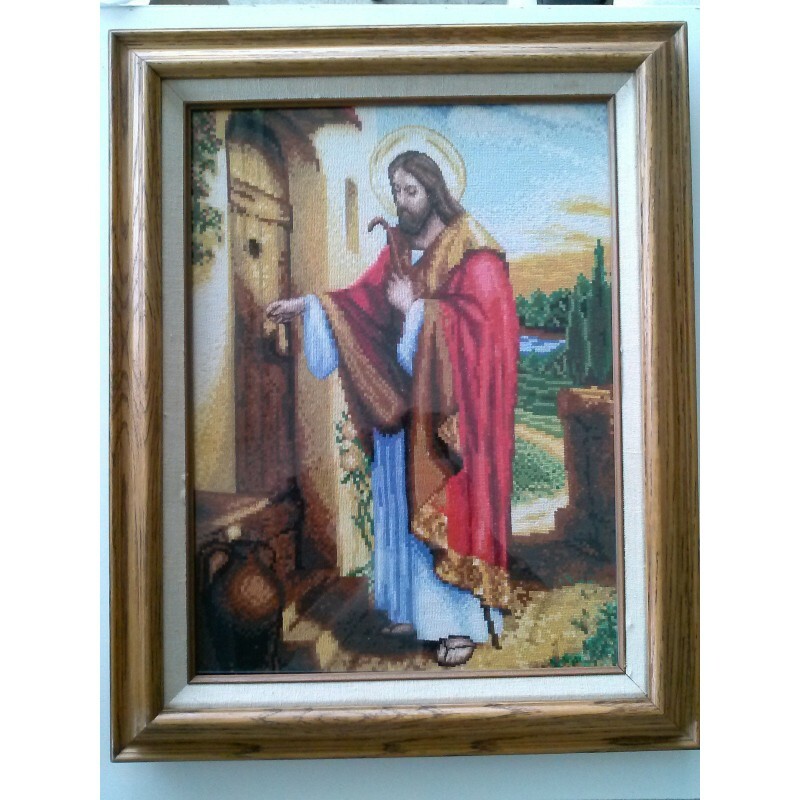 UP FOR SALE IS RELIGIOUS FRAMED TAPESTRY - ICON GOBELIN Jesus knocking at the door HAND MADE EMBROIDERED PIECE.EXCELLENT CONDITION. THIS TAPESTRY IS COMPLETELY FINISHED BY HAND.ITS MADE WITH ORIGINAL "ARIADNA" 51 COLOR TEXTURED THREAD OVER LINEN CANVAS. 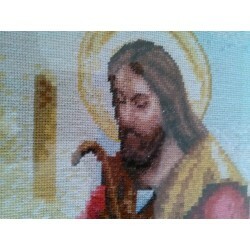 CANVAS HAS 280 SQUARE OF 20mm / 0.78" .EACH SQUARE HAS BEEN COMPLETE WITH 400 CROSS STITCHES MADE BY HAND. 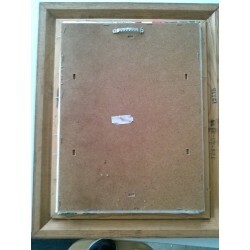 TO COMPLETE THIS PIECE OF ART SUGGEST MORE THAN THREE MOUNTS OF WORK. 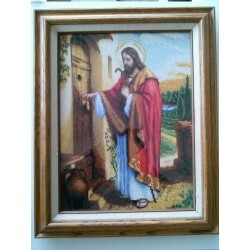 OAK WOODEN FRAME SIZE 16"x 20" - GLASS COVERED .